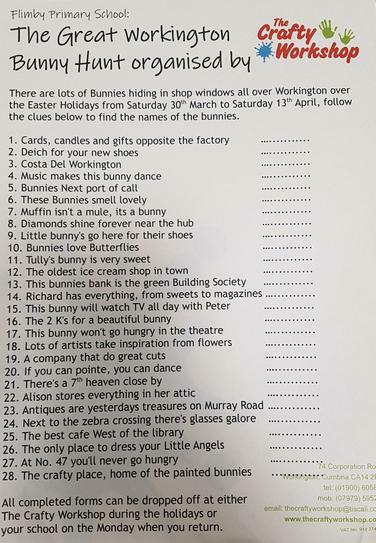 There are lots of Bunnies hiding in shop windows all over Workington during the Easter Holidays. Can you follow clues and find all the Bunnies names? Sheets can be purchased from the schools main office for £1.00. There are some great prizes to be won. Entries can be dropped of at school by Monday 15th April or returned to The Crafty Workshop in Workington.